News Archives - Idea International, Inc.
What explains this growth? Significant factors include the increasing adoption of technology, innovative healthcare access programs, and delivery of care outside traditional hospital settings. The healthcare industry in the APAC region will benefit from the affordability of technology in the area and the ability for healthcare companies to develop innovative solutions. As this activity increases, healthcare companies exhibiting in the region will most likely notice an increase in restrictions and regulations like the healthcare industry in North America and Europe. 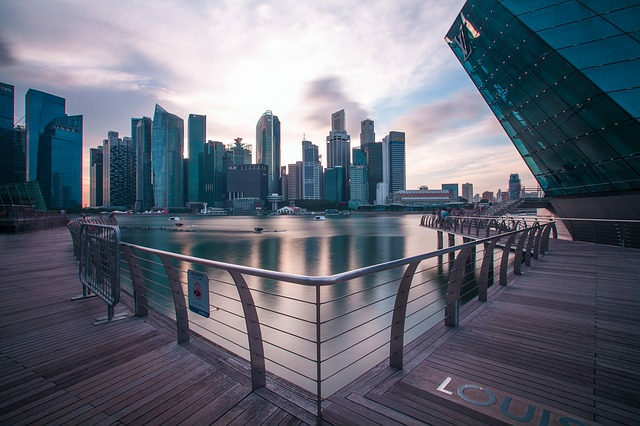 The catalyst for increased compliance will come from the growth of international exhibitors at medical meetings in the APAC region as well as the growth of international attendees. New business models will develop as a result, and marketing and exhibiting will become more patient-centric—just as it has in the US. The APAC region will also most likely benefit from the confusion caused by Brexit as Medicines Europe leaves England for Amsterdam. The population in the APAC region is aging and requiring healthcare providers to become more knowledgeable in managing diseases of the elderly. Hand in hand with that is the rising incidence of chronic diseases, such as diabetes, hypertension, and similar conditions. An emerging affluent middle class is more attention to their health and are willing to spend money, including on cosmetic procedures. Accessibility to state of the art treatments and therapeutic products is increasing. The APAC region has experienced a rise in medical tourism. These emerging trends create growth opportunities for healthcare exhibiting companies including pharmaceuticals, diagnostics, and medical technology manufacturers, digital health vendors, and healthcare service providers. As the demand for more precise and extensive healthcare exhibits grows in the APAC region, more and more healthcare exhibitors and their agencies look to Idea International for superior service and informed response to their needs. Healthcare companies around the world are increasingly aware of the need for exhibitions in the APAC region. Major global companies such as Medtronic, Celgene, AbbVie, Baxter, and Roche trust their programs to Idea International. 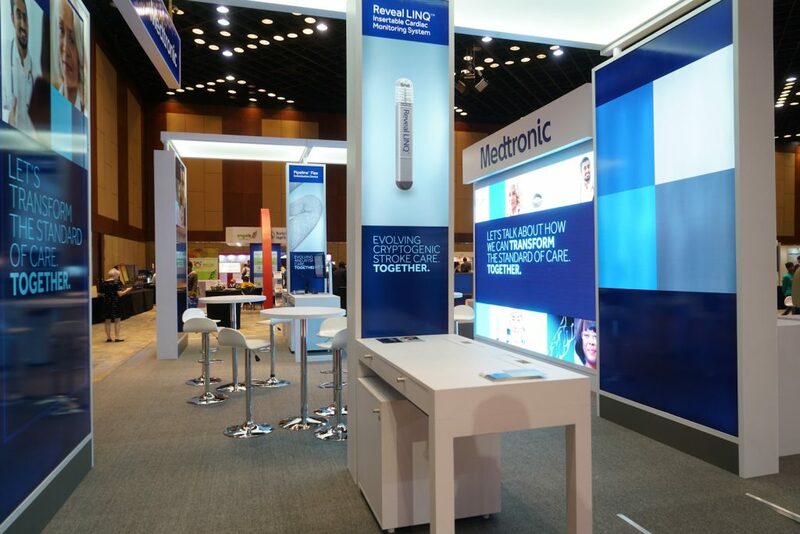 If you are ready to take your healthcare exhibit program to the APAC region, call us—and we’ll tell you how we can help you increase market share in our part of the world. Idea International knows medical exhibiting. We know the preferred venues from Sydney to Singapore, the cities, the halls, the hotels where medical events and congresses are held. We have strong relations with suppliers across the APAC region, including premium labor companies. But more than anything, we know the medical landscape, the regulatory environment, what guidances apply to companies exhibiting from other countries, and how to respond when a product manager tells us that new findings have been reported. We are on site to make sure that nothing goes wrong, and we are quick to find a solution to last-minute challenges. We are used to working with highly sensitive information and are more than willing to negotiate an NDA. We have earned the trust of agencies around the world. Building awareness of new therapies as well as pipeline products is in demand by the APAC healthcare community. Companies from all over the world are exhibiting in the APAC region, and they are asking Idea International to take charge of their exhibit programs. Why? Because we are leaders in healthcare exhibiting, with a history that pre-dates this recent growth. As different countries introduce regulations governing promotion, we know what needs to be done to make the exhibits compliant. When you want excellence in your APAC healthcare exhibiting program, contact Idea International. Chris Dorn is Founder/President of Idea International (www.idea-intl.com), an Asian-based trade fair exhibit design and fabrication company, with HQ in Osaka, Japan. Chris has a unique perspective as a designer and entrepreneur, working and living in Japan with his family. He grew-up in the USA, but has lived in Japan for more than seventeen years. During this interview, Chris and Jeff discussed design, culture, the concept of face, connecting with the Japanese audience, perceptions and much more. Malaysia prepares to welcome the World Federation of Hemophilia Congress 2020. Marking the first time it will be held in Malaysia, the biennial congress will see leading healthcare experts from 125 countries gather in June at the Kuala Lumpur Convention Centre. Malaysia was chosen as the host country for the congress in 2014, with the recent WFH Congress 2018 held in Glasgow marking the official handover ceremony. “Health-focused congress like WFH World Congress 2020 plays an important role in increasing the number of international delegates and the benefits are far-reaching,” said Zulkefli Haji Sharif, Malaysia Convention & Exhibition Bureau CEO…” Read more at CIM Magazine. We all remember our “firsts”—our first crush, our first kiss, our first car, our first job. My first show in Tokyo: wallpaper, hmm. Imagine origami for your booth. Hey, I’m from Iowa! And Australia. Yes, they were speaking English, but it was a language full of new terminology. I needed to be “inducted,” and there were all those health and safety restrictions. Don’t forget India, where the site visit showed us…nothing. Empty fields. We had to take the organizer’s word (would you?) that something was coming. Seventeen years of living and working in Asia have provided me–and the whole team at Idea–with many “firsts,” and we remember them well. So well, as a matter of fact, that we now know the rules, regulations, labor situations, and material choices (for starters) in every country in the APAC region as well as at most venues, both new and old. What that means for you is you can use our experiences as a resource to make your program successful when you find yourself exhibiting in our part of the world. What have been your “firsts” with your international exhibiting programs? Shipping woes? Customs horror stories? Graphics or materials not even close to what you expected, and certainly not what you asked for? Work stoppage because of a major holiday that was a surprise to you? Pick our brains for solutions to your APAC exhibiting challenges. That’s one of the advantages of working with a local company like Idea International. We’ve learned—sometimes the hard way—what exhibiting in the APAC region is all about. We will take care of all the details, so you can take the time to explore a new country and learn first hand about its people and markets. Exhibitor Magazine’s International Exhibiting Survey reported 56.8% of the respondents foresee exhibiting in the APAC region in the future. It is the fastest growing area for meetings and events. Start planning now with Idea International. Let us share our in-depth and personal experiences at ExhibitorLive in Las Vegas, February 25-March 1, 2018. Our team member, Brian Spurlock, of will be on site at Mandalay Bay. Click on Brian’s name to set up a meeting to discuss your APAC program. Idea International has earned the EDPA Certification designation, the first company outside the U.S. to do so. Exhibitors who find shows in the APAC region on their schedules can feel secure in choosing to partner with Idea International since this certification means Idea International’s business practices meet very stringent standards including ethical practices, experience and participation in the exhibit industry, fiscal responsibility, and operational methodology…read more at Exhibit City News. If your client’s show schedule includes global exhibitions, you know how important it is to be able to trust your on-site partner. Idea International is the first EDPA (Experiential Designers + Producers Association) member company outside the US to receive EDPA’s RFP Certification, cementing our 13-year commitment to transparency, consistency, and high standards for design and fabrication capabilities. Our motto has always been, ‘Peace of Mind, Half a World Away,’ and the EDPA certification means you can have confidence in the work we do throughout the APAC region. 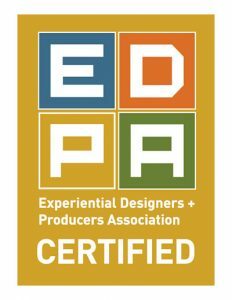 “Founded in 1954, The Experiential Designers and Producers Association (EDPA) is recognized internationally and serves thousands of professional members representing more than 300 corporations across 18 countries. Each year, the EDPA drives industry education programs and professional networking events through our regional chapters. We also bring together members and thought-leaders from around the world to ACCESS, the only industry association meeting and event of its kind. ACCESS provides a platform for prospective EDPA members and members alike to share and engage in programs and play at a professional conference unlike any other. The mission of the EDPA is to advance the interests of members engaged in the design, production, and service of exhibits, events and experiential environments. The success and integrity of our industry will be enhanced through advocacy, communication, education and good works. The Mobile World Congress (MWC) is a B2B event for anyone and everyone in mobile as well as those in adjacent industries who want to discover how mobile technology can benefit their businesses. In short, anyone fitting that description will find relevant learning and networking opportunities to make the trip to Barcelona worthwhile. Barcelona? Yes. Barcelona gave birth to the original GSM World Congress which became Mobile World Congress. The Barcelona event continues to be a power house with over 108,000 attendees from 204 countries. The opportunities for sales and increasing market share are amazing, with over 55% of the attendees holding senior management positions. When the MWC decided to expand its global presence, specifically for a summer event, the obvious choice for the organizers was not the U.S., it was China—and the new event was branded Mobile World Congress Shanghai. MWC Shanghai, much newer than its parent event in Barcelona, nevertheless attracted more than 65,000 people last year—and attendance continues to grow. When the organizers expand the presence of a show, it’s based on research that the audience in a particular region is expanding. In one of our recent newsletters, we suggested that if you are exhibiting at a show that has global off-shoots, you should definitely consider expanding your reach to audiences in other parts of the world. This is certainly the case with MWC Shanghai. There is little overlap in attendance from the Barcelona event and the mobile community in the APAC region comes out in full force, with 830+media and analysts including business, consumer, broadcast, trade, vertical media outlets and industry research firms from around the globe and 600+outbound posts across English and Chinese social channels. 2 million+ impressions on Weibo and 85,000+ on WeChat. Families welcome—MWC Shanghai engages end users. To broaden the audience even more, visitors seeking the latest and greatest in mobile technology will get the opportunity to try out the newest devices, gadgets and experiences at the g MWC Shanghai. This year, to make it even more convenient for citizens from Shanghai and the surrounding area to visit, the event has been extended from three to four days and will now be open to consumers, including families and children aged six years and older. If you are part of the mobile industry, can you really afford to ignore that type of exposure? Planning to Exhibit at CES Asia? Call Idea International Now! The Consumer Technology Association (CTA)TM today announced that CES Asia™ 2017 is set for another showstopping, record smashing year. 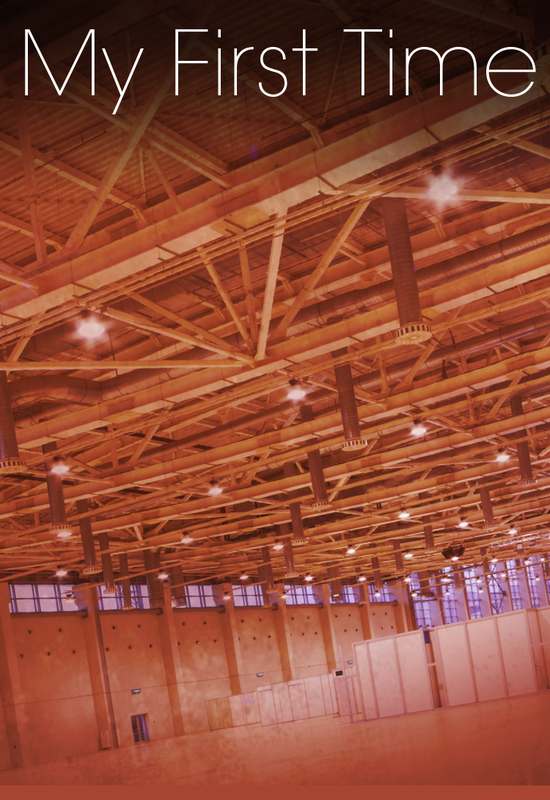 Four months out from the third annual event, nearly 10,500 net square meters (112,902 net square feet) of exhibit space have been sold, up 10 percent from this time last year. Owned and produced by the Consumer Technology Association (CTA)ä and co-produced by Shanghai Intex Exhibition Co., Ltd, CES Asia 2017 will take place June 7-9, 2017, in Shanghai, China at the Shanghai New International Expo Centre (SNIEC). More than 200 notable companies are already slated to exhibit at CES Asia 2017, including Audio-Technica, Baidu, Continental Automotive Holding, Digital China, DJI, Fossil/Misfit, Garmin, Gibson Brands, Haier, Huawei, Intel, LeEco, Monster, NavInfo, Onkyo, OtterBox, Pioneer, Scosche, Suning, UPS, USPS, Valeo, Volvo, Voxx, Wacom and Yuneec. More information on exhibiting companies will be posted on CESAsia.com in the coming weeks. Ultimately, CES Asia 2017 is expected to draw more than 30,000 attendees and more than 1,100 global media to cover some 450 exhibiting companies showcasing innovation across 19 product categories, including major growth areas such as drones, the Internet of Things (IoT) and virtual reality. If you are planning to exhibit at CES Asia™, please contact us here to see how we can help.